Foreign Minister Elias Jaua has called US Secretary of State John Kerry a murderer and accused him of inciting violence in Venezuela. Jaua’s words came in retaliation to Kerry’s accusation that the Venezuelan government is terrorizing its own people. In a heated rebuke to Kerry, Jaua denounced him as a murderer of the Venezuelan people. "Kerry, we denounce you before the world. 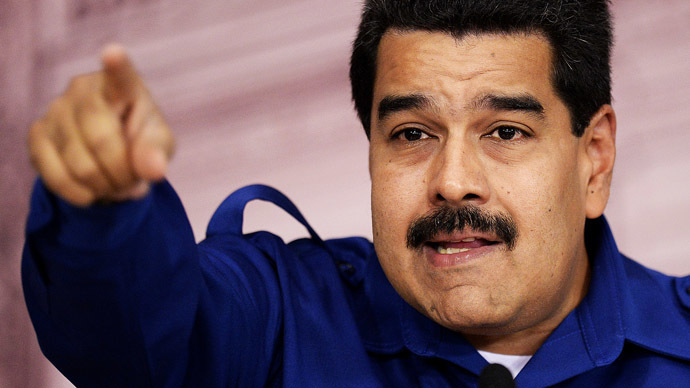 You are inciting violence in Venezuela, and we will denounce it in every part of the world. 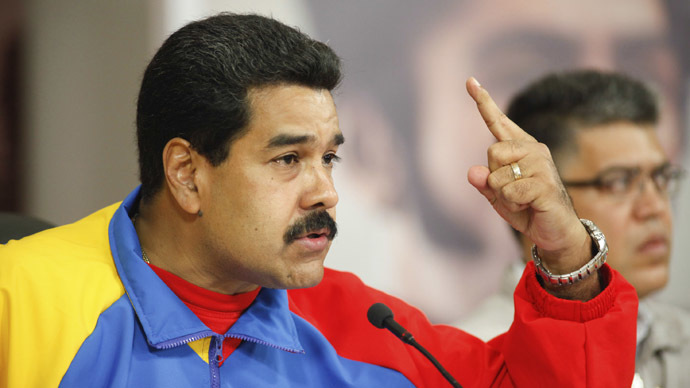 We denounce you as a murderer of the Venezuelan people," Jaua said in Caracas. He added that Venezuela would not back down until the US ordered its “lackeys” in Venezuela to cease their violent activities. "Every time we're about to isolate and reduce the violence, Mr. Kerry comes out with a declaration and immediately the street protests are activated," Jaua said in a speech carried on state TV. 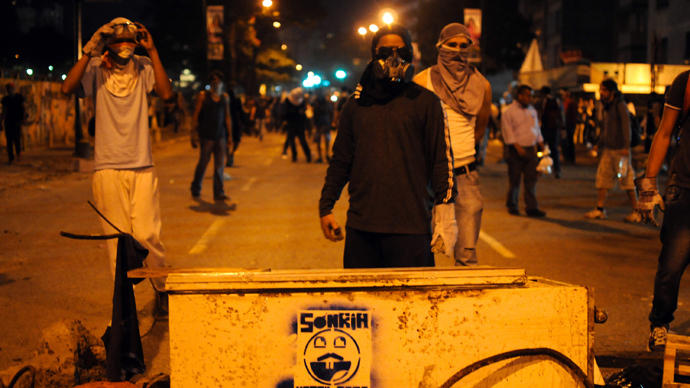 He added that the protests had not succeeded, however, in achieving their aim of triggering a coup d’etat in Venezuela. Mass protests have gripped country over the last month with many demonstrations descending into violence and clashes with riot police. At least 28 people have died so far in unrest. President Nicolas Maduro has said that for the most part the demonstrations in the Venezuelan capital have been peaceful and that the violence is being caused by groups of right-wing extremists in the opposition. Protests in Venezuela began on February 4 when students took to the streets, calling for the release of students arrested already. Initial demonstrations were followed by mass protests, focusing on rising inflation and a lack of basic goods in Venezuela. Earlier this week, Kerry accused the Venezuelan government of waging “a terror campaign” against its own people. “We are trying to find a way to get the Maduro government to engage with their citizens, to treat them respectfully, to end this terror campaign against his own people and to begin to, hopefully, respect human rights in an appropriate way,” Kerry told a committee in the US Congress on Thursday. Relations between Washington and Caracas have been fraught with heated rhetoric over the last year. Maduro has repeatedly accused the White House of sponsoring members of the opposition with a view to destabilizing the Venezuelan government, while Washington claims that Caracas is using the US as a scapegoat to distract the Venezuelan population. The US government has also called for an investigation into reports of police brutality during the violent protests. 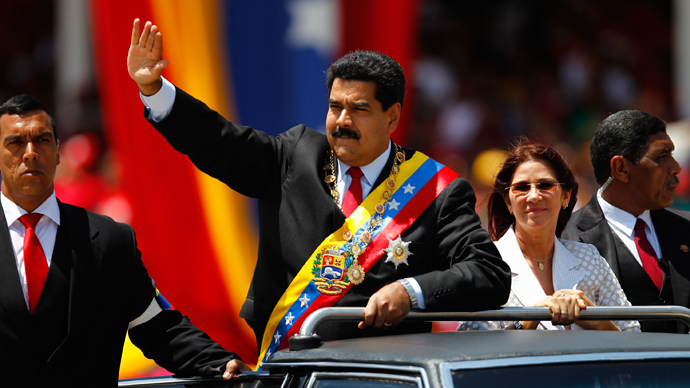 Maduro was elected in Venezuela last year to succeed President Hugo Chavez, who died of cancer.